Night Flight 야간비행 (2014). 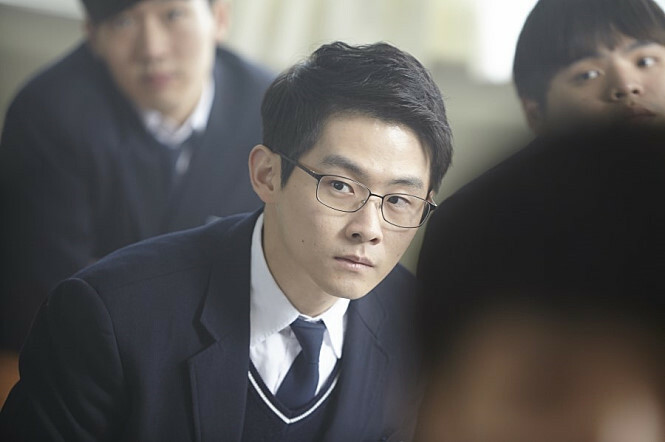 Top student Yong-Joo (Kwak Si-Yang) aims to enter Seoul University. Ki-Woong (Lee Jae-Joon) is the leader of a gang at high school. Yong-Joo and Ki-Woong were friends back in middle school, but they have drifted apart since entering high school. Ki-Taek (Choi Joon-Ha) attended the same middle school as Yong-Joo and Ki-Woong. Ki-Taek is bullied by friends. 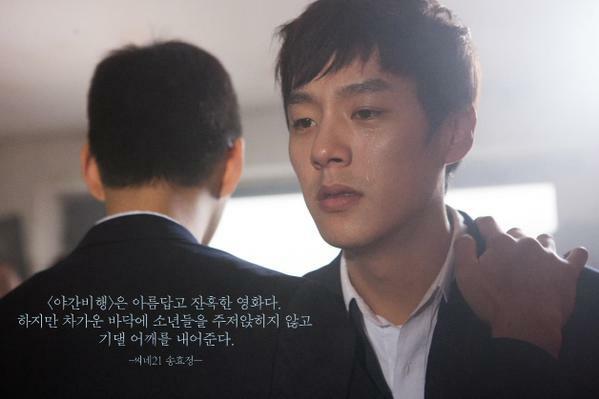 Yong-Joo tries to help Ki-Taek, but Ki-Woong just watches from a distance. Meanwhile, Yong-Joo's mother struggles to make a living and raising Yong-Joo alone. Ki-Woong's father fights to get reinstated at work after being fired. School teachers emphasize to the students that their academic scores are more important than their friends. Yong-Joo feels so lonely. He reaches out his hand to Ki-Woong.